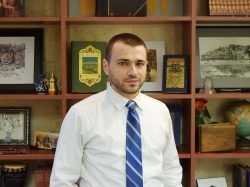 Mohamed is a graduate of the University of Texas at Dallas, where he majored in Political Science and completed his senior thesis on statelessness and its practical implications on Palestinians living in the refugee camps of Lebanon. He also earned an M.A. in International Relations and an M.S. in International Political Economy from the University of Texas at Dallas. He has written articles about Palestine issues that have been featured on Mondoweiss, Electronic Intifada, and others. Prior to joining The Jerusalem Fund, Mohamed campaigned and worked for a Palestinian-American city councilman and mayoral candidate in the city of Richardson, Texas. Mohamed can be contacted by email at mmohamed@thejerusalemfund.org or by telephone at (202) 338-1958. Samirah is a filmmaker and film scholar, with published articles about experimental and independent film/video in the Arab world. Her films include experimental documentary Far From You about Egyptian singer Umm Kulthoum, among various other experimental films and installations. 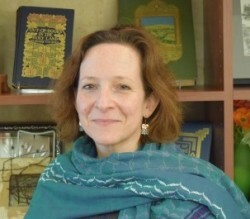 Her publications include the introduction to the English translation of Syrian film director Mohammad Malas’s book, The Dream – A Diary of a Film (American University in Cairo Press, 2016), about whom she also co-authored a book, The Cinema of Muhammad Malas: Visions of a Syrian Auteur (Palgrave Macmillan Press, 2018). This book is among the first in a series on Arab Cinemas for which she is a co-editor. She has taught film studies and production in Singapore (Ngee Ann Polytechnic), Egypt (American University in Cairo), the San Francisco Bay Area (U.C. Berkeley and Sonoma State University), and Virginia (George Mason University), where she currently teaches as an Adjunct Associate Professor. She has an M.F.A. in Cinema from San Francisco State University and a B.A. in English Literature from Oberlin College. 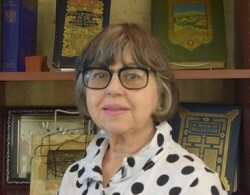 Dagmar Painter transformed an ad hoc exhibit space into Washington, D.C.’s only full-time art gallery featuring the work of Arab and Arab-American artists. She has lived and worked in the Arab world for over 12 years and has traveled extensively in the Islamic world for over 30 years. In Washington, she previously established and ran the art gallery of the Embassy of Tunisia. She also directed Gallery Patina, a non-profit gallery of the National Council on Aging, which was featured on NBC’s Today Show. She was an Advisory Review Panelist for the D.C. Commission on the Arts and Humanities Grant Panel, a nominator for the Smithsonian Institution SARF awards, and a Juror for the Torpedo Factory Art Studios. She has written and lectured extensively in the U.S. and abroad on cross-cultural and arts issues, at such venues as the Textile Museum in Washington, D.C. and Meridian House International. She also taught seminars on Middle Eastern textiles at the University of Tunis and the Centre D’Etudes Maghrebines, as well as classes at the National Museums of Lagos, Nigeria and Bangkok, Thailand. Selected publications include Arts in the Islamic World, Ornament, Cairo Today, Focus on Pakistan, The Herald, India Today, Arts in Embassies, A Practical Guide to Cairo and Savior: Tunis. An experienced researcher and analyst, Rima has used these skills in project evaluation, customer relationship management and strategic planning, primarily in non-profit settings. She has been involved in studies that covered a range of issues, from child-rearing practices and women’s economic development in the Middle East, to customer satisfaction, evaluations of the efficacy and impact of training programs, marketing analysis using database analysis and competitive research methodologies in the United States. 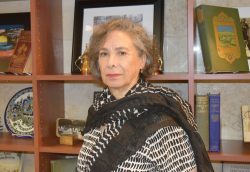 Her most notable non-profit experience in the US has been with American Red Cross and Catholic Legal Immigration Network, and has volunteered at Arab-American organizations in the Washington, DC area.